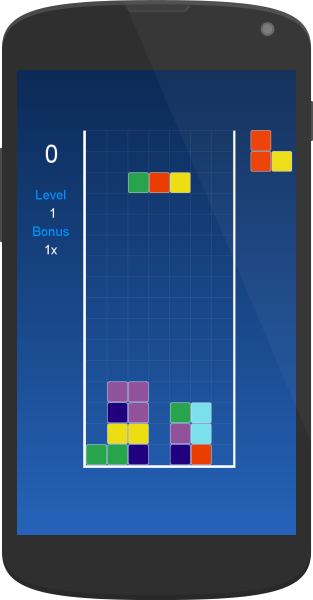 Games can be run on any modern device based on iOS or Android: all sizes, resolutions and versions are supported. Try it now! Crazy — crazy figures and growing game speed. For faster and harder gameplay added «start with handicap» option for all game types and modes. You can do any control actions on any part of the screen. Horizontal swipe on any part of the screen will move figure horizontally. Swipe from up to down will drop figure. 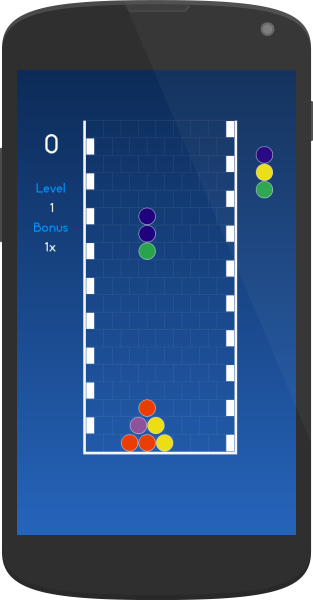 Tap on the left/right part of the screen will rotate figure counterclockwise/clockwise. 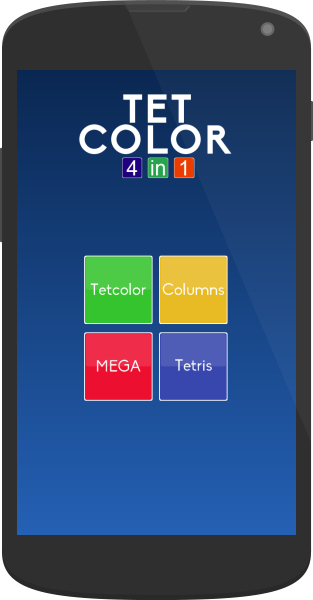 Build horizontal, vertical or diagonal lines of 3 or more blocks of the same color to remove them and earn points. 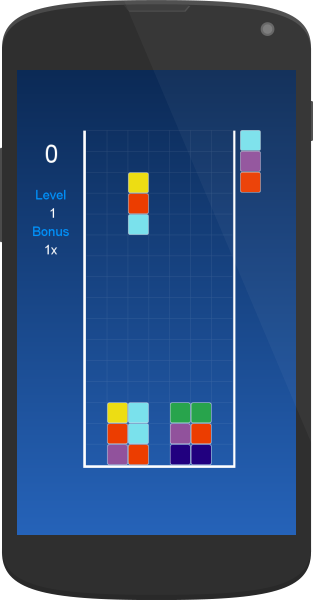 Each removed line adds to the total score some amount of points depending on the number of blocks in a line and on the multiplier. By default the multiplier has value of 1, but it's doubled after every removed line and set to default value when a new figure appears on the screen. 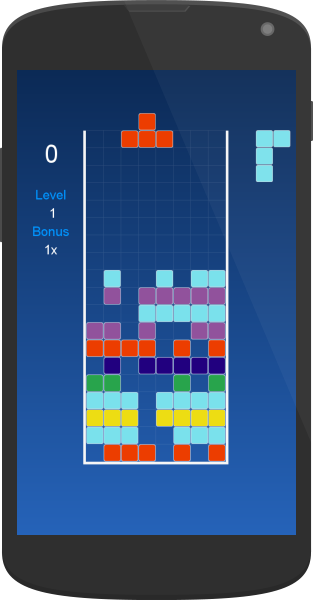 For instance, in one turn you removed 3 lines: the first contained 3 blocks, the second — 5 blocks, the third — 3 blocks. 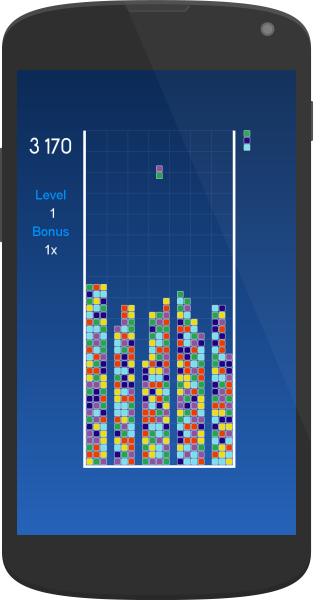 When the first line was deleted the multiplier had value of 1 and you earn: (1 + 2 + 3) * 1 = 6 points. When the second line was deleted the multiplier had value of 2 and you earn: (1 + 2 + 3 + 4 + 5) * 2 = 30 points. When the third line was deleted the multiplier had value of 4 and you earn: (1 + 2 + 3) * 4 = 24 points. Totally you earn 6 + 30 + 24 = 60 points in one turn. The more lines you remove in one turn, the more points you earn! Try to reach the top of the global leaderboard!